If you’ve ever wanted to get into a low-cost, well-reviewed electric car, now may be your best chance. 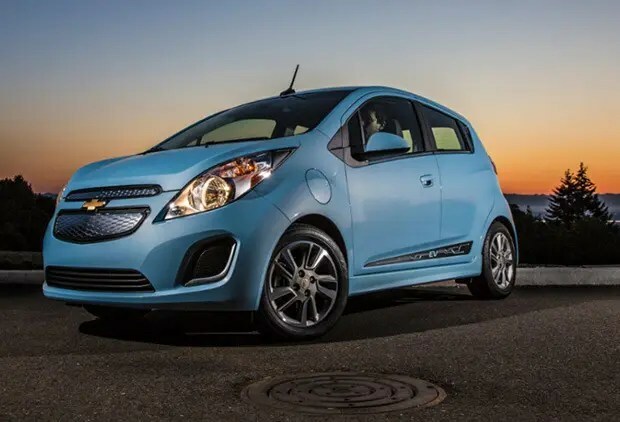 GM has just dropped the price of the Chevrolet Spark EV to $25,995, and after federal and state tax incentives, the Spark EV could be had for as little as $14,995. That’s a low price for a lot of EV. Unfortunately for most of us, the Spark EV is only available in a handful of states, those being California, Oregon, and Maryland. In California, buyers can get an additional $2,500 off the cost of the Spark EV, and in Maryland buyers can take a $2,300 excise tax exemption, taking about $10,000 off the MSRP. Oregon is considering a similar tax break of about $3,000 but has yet to pass it into law. For most of us though, the Chevy Spark EV remains something that we’d like to have, but probably can’t just yet. Besides being rated better than its gas-powered version by Consumer Reports, the Spark EV can also save a lot of money over its operating lifetime by plugging in rather than filling up. It’s no surprise that in the few places its available, the Spark EV has proven to be a surprise hit. I can say with confidence that if the Spark EV were available in Connecticut today, I’d go buy one. Seriously. My wife’s commute to work is less than ten miles, and we’d save about $150 a month in gas costs. The Spark EV would practically pay for itself! Alas, I’ll probably have to wait for the Chevy Bolt. And I will, unless Tesla actually meets a deadline for once.